Today, the word "Barbados" conjures images of a Caribbean paradise; sandy white beaches, sunshine and an ice cold rum punch. Centuries ago however, about 170 Scottish Jacobite rebels were “Barbado’ed” after the rising of 1715 — and there are other sources of Scots ancestry in Barbados, too. 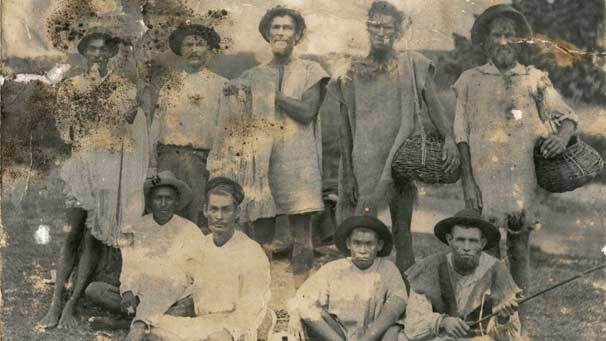 From then on, Irish and Scottish thieves, prostitutes and any others who broke the law were sentenced to be 'Barbado'ed' - a brutal punishment which meant a life of hardship as an indentured servant in the West Indies. More often than not this lead to a premature death due to overwork and deplorable living conditions; the searing heat, blazing sun and days spent in the fields were not kind to the European white folk. Find out more about the Bajan 'red legs'.